DEF in partnership with World Summit Awards, Ministry of Communications and Information Technology of the government of India, and other organisations interested in ICT for development launched the Manthan Awards in October 2004 to identify, reward and give recognition to significant contributions in the field of ICT for Development (ICTD). The specific objective was to bring to the attention of all stakeholders such as governments, businesses, industries and civil society organisations that are engaged in the development sector and employ significant ICTD initiatives and valuable digital content that are successfully serving underserved communities, especially in rural areas and urban slums. Most of these success stories go unheralded in the mainstream media as these ICT interventions often operate in media-blind areas and sectors. Consequently, there is little knowledge sharing among the progenitors of these initiatives which in turn hinders the emergence of an eco-system that feeds on this knowledge and enables scaling up of these initiatives and coordination among them for a much larger impact. The Manthan Awards sought to bridge this gap and create a platform that would not only highlight such ICTD initiatives but also help create a network and database of such players that would enable all stakeholders to contribute in a way that would enhance the overall impact of ICT interventions. Initially, the awards were limited to entries from India. In 2008, the scope of the awards was expanded to South Asia and in 2012 to the entire Asia Pacific region. Today, the awards invite entries from the following 36 countries: Afghanistan, Australia, Bangladesh, Bhutan, Brunei, China, Cambodia, Fiji, Hong Kong, India, Indonesia, Iran, Japan, Kiribati, Laos, Macau, Malaysia, Maldives, Mongolia, Myanmar, Nepal, New Zealand, North Korea, Pakistan, Papua New Guinea, Philippines, Samoa, Singapore, Solomon Island, South Korea, Sri Lanka, Taiwan, Thailand, Timor, Tonga, Vietnam. This single project has helped DEF to create a knowledge database of more than 4,000 different and unique digital interventions that serve the developmental needs of underserved and marginalised communities. Today, the Manthan Awards have become a platform for all innovators and practitioners of ICTD to network, forge partnerships, get mentoring and access funding to scale up for greater impact. With the rapid increase in penetration of mobile technology across almost all socio-economic strata around the world, the mobile phone has emerged as the most powerful digital tool for empowerment across the world. This is more so in South Asia, Asia Pacific and other parts of the developing world. Recognising this phenomenon, in 2010, DEF spun off from its highly successful Manthan Awards a separate award – the mBillionth Awards South Asia — only for recognising excellence in mobile innovations for development. The industry‐driven and peer‐acknowledged mBillionth Awards acknowledge South Asia as a key hub of the world’s mobile and telecom market in terms of penetration and innovation. The region, however, suffers from a significant digital divide. These awards recognise that at the moment, mobile phones are surpassing all other media in terms of penetration in the region: TV, radio, computer, newspapers, magazines and landlines. Mobile platforms are becoming the natural choice for smashing the information barrier and extending essential and innovative digital services to the broadest section of the population. The awards, therefore, seek to not only reward all those who are taking initiatives to bridge the digital divide, empower people and bring about greater socio-economic equality but also create an ecosystem and network of such innovators and developers so that they can learn from each other, collaborate and scale up. Vodafone Foundation has been working across many countries with a programme called ‘Mobile for Good’ to help mobile-based applications benefit communities at large in the domains of education, women, agriculture and livelihood. 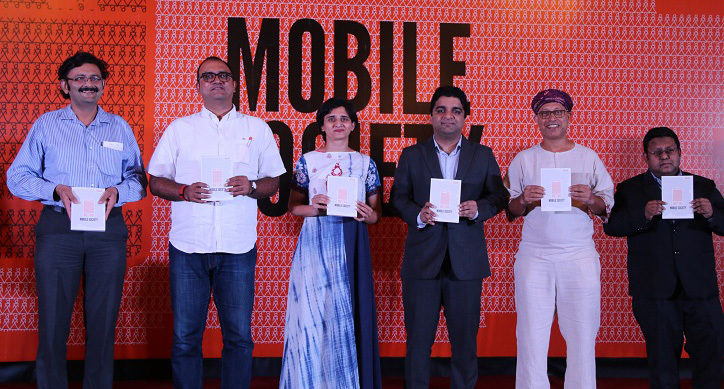 In 2011, Vodafone Foundation launched the programme in India by partnering with DEF through the mBillionth Awards, which has been identifying mobile and telecom-based applications in India and South Asia. 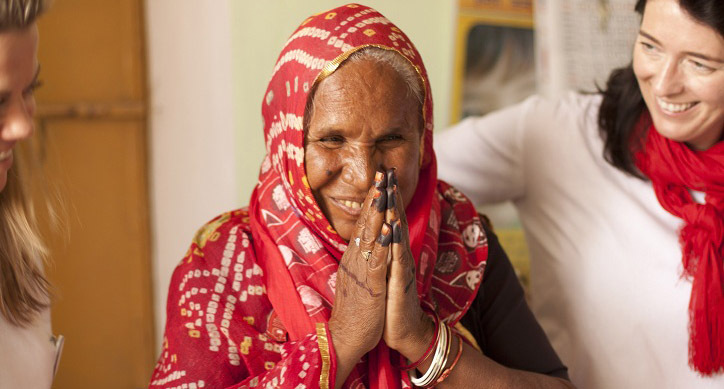 Since 2011, Mobile for Good programme in India has identified and supported 18 projects by diverse not-for-profit organisations spread across the length and breadth of the country. 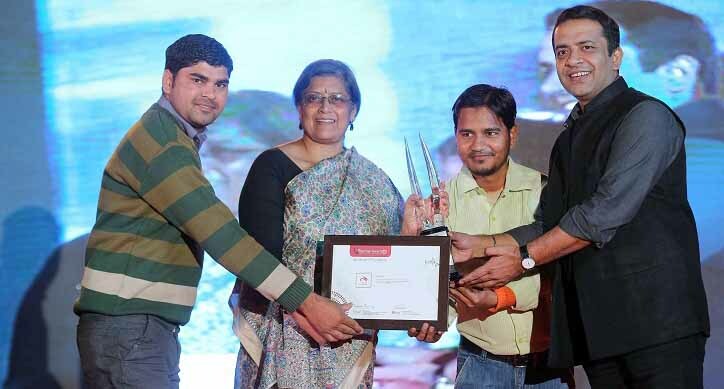 In 2014, Mobile for Good Awards became separate from mBillionth Awards and is now being treated as an independent award. The eNGO Challenge aspires to create an ecosystem of NGOs, which use Information Communication Technology (ICT) and digital media for good governance practices for the benefit of societies and communities at large. The challenge seeks to recognise, salute and honour best NGO practices using ICT in any part of the world. The eNGO Challenge was initially launched as a joint initiative of Public Interest Registry (PIR) and Digital Empowerment Foundation (DEF). It is now an independent awards platform. The emergence of new media and social media platforms has pushed traditional media to the fringes. Digital outreach medium and social media platforms like Facebook, Twitter, YouTube, blogger, Google Hangout, Flickr, Foursquare, Snapchat, Instagram, etc. are playing a critical role by involving millions of people in real time. Social media is the illustrious and most potent democratic tool of empowerment, promotion, participation, commerce, cause, campaign, activism, among others. In an effort to identify how social media platforms have been utilised for their campaign-and-cause-based programmes, Digital Empowerment Foundation initiated Social Media and Empowerment Awards in 2013 to honour and recognise those social media initiatives that are using social media technology as a catalyst for communication, spreading awareness and fulfilling their mission and needs of social development. Community Information Resource Centres (CIRCs) are community-driven; bottom-up platforms that seek to bridge the digital divide and transform information-dark communities into information-empowered communities. These technology hubs aim to facilitate unrestricted digital access to knowledge, along with network support with provisions of Information and Communication Technology (ICT) services in order to serve information deprived corners of the country. 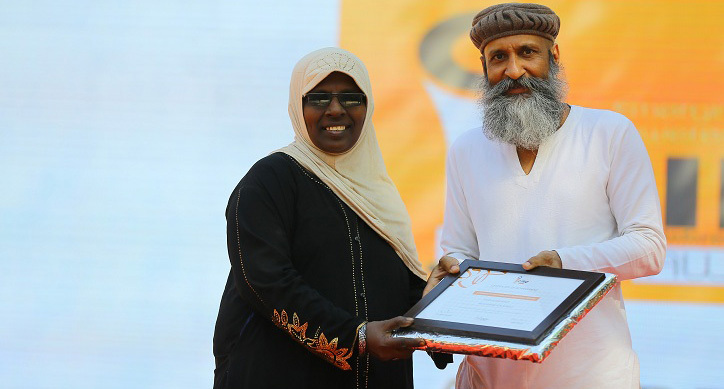 The CIRC Award was launched in 2015, with the aim to identify and felicitate those unsung heroes from the CIRC family who extend beyond their capacities to work for the upliftment of the underserved, help them connect with mainstream progress and improve lives. It also brings together CIRCs, Soochna Seva Kendras, Digital Public Libraries, Digital Cluster Centres and ITE Kendras from across the country, to help them recognise and adopt best proven practices and enhance their endeavors to exceed set goals and expectations. 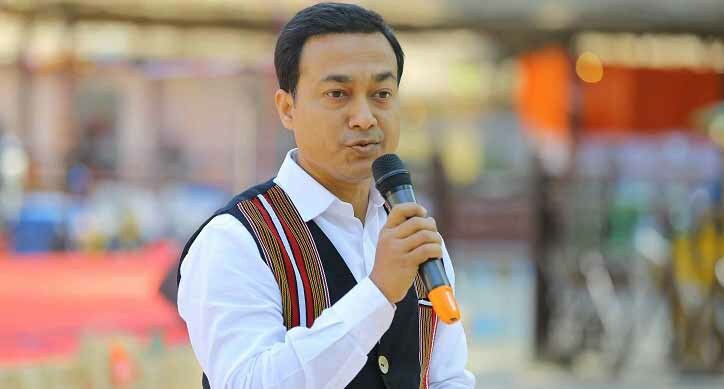 The North East Development Foundation in partnership with DEF launched the e-North East Awards in 2010 to scout, review, select, felicitate, award and nurture best practices in information communication technology for development and governance in North East India. The award seeks to bring into focus practices in various categories that have impacted development and governance processes for good. The award platform has so far a repository of more than 200 best practices from the region. It has established itself as a unique platform and a movement to contribute to the emerging ICT environment in the region. On 9th March 2013, three women and a crew of 25 from Vodafone Foundation and DEF embarked on a nine-day auto-rickshaw journey from Delhi to Mumbai, travelling over 1,500 kilometres spanning five states: from the hustle bustle of India’s Capital to the deserts of Rajasthan, spectacular Western Ghats and the bright lights of Mumbai. Along the route, they discovered and encountered ordinary women doing extraordinary things. Using innovative technology, this entire expedition was also experienced online. Each day, the crew celebrated the achievements of amazing women and shared their stories online. The Red Rickshaw Revolution was all about celebrating the achievements of inspirational women across the country and raise crucial funds for three NGOs which are working to empower many more – ApneAap Women’s Collective (AAWC), Breakthrough and Corp India. The Vodafone Foundation had pledged to match up to Rs 8.5 million of the donations. 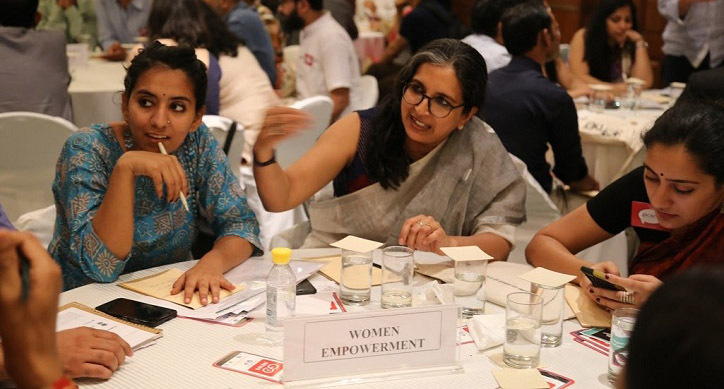 A similar journey from Delhi to Kolkata was organised in 2014 and 10 women Sarpanches of gram panchayats were identified as grassroots change leaders. DEF has rewarded these women by setting up CIRCs at each of the 10 gram panchayats headed by these 10 remarkable women. 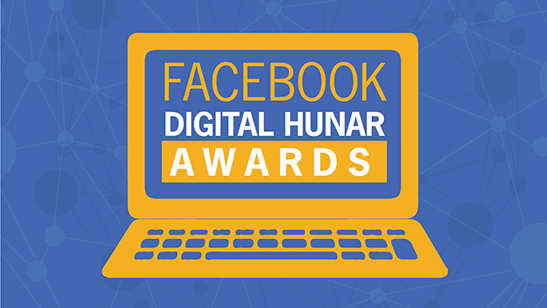 Instituted by Digital Empowerment Foundation and Facebook, Facebook Digital Hunar Award is a one-time initiative to identify and appreciate micro and nano enterprises that have shown excellence in adoption of new age digital tools, particularly social media, in four backward Indian states — Bihar, Odisha, Jharkhand and Chhattisgarh. Micro and nano entrepreneurs are individuals or groups who are running small businesses and enterprises with an annual income of at least Rs. 50,000. The initiative will help recognise rural entrepreneurs who use Facebook for better outreach and visibility, understand and analyse the use of social media by micro and nano entrepreneurs, encourage micro and nano enterprises to improve their online presence, and train village-level entrepreneurs in leveraging various features of Facebook for business. Keeping in mind the partnership, the applicants must have shown excellence in new age digital tools adoption, particularly Facebook and/or Instagram and WhatsApp. Under this award, one Winner and one Runner-up will be selected per state. While the Winners will receive Rs. 50,000 and a tablet each, Runners-up will receive Rs. 25,000 and a smartphone each. DEF is now accepting applications for the awards. Interested candidates may fill the form in English, Hindi or Odiya. This programmatic area addresses the goal of creating knowledge network and database to know about best practices in the field of ICT for Development across India and South Asia. All projects in this area have the overarching goal of creating a common platform — for all kinds of digital interventions aimed at socio-economic development and empowerment of people and communities — for recognizing the best practices, facilitating collaborations and initiating dialogues between experts and individuals from varied fields with a similar goal. 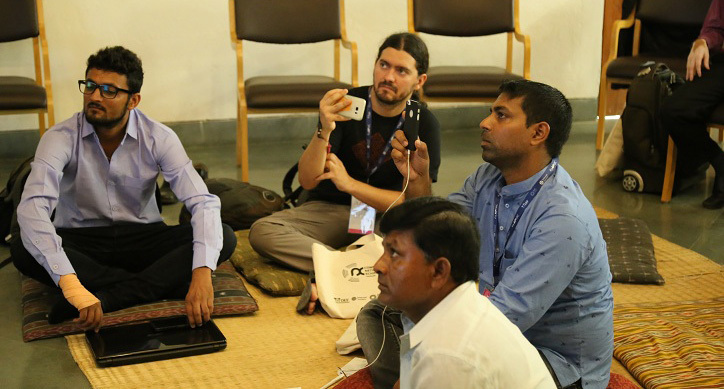 The projects seek to cover interventions across different categories of digital media, including mobile phones and social media platform, in South Asia and Asia Pacific.